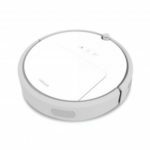 Xiaomi XiaoAi smart alarm clock is an excellent assistant for your work and life. 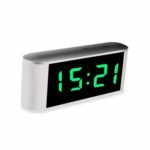 It supports 30 dynamic alarm clocks (lazy alarm clock, countdown function), and 80 voice reminders. With a large digital display, featuring voice control function and 2000+ premium radio stations, it can greatly facilitate your life and save the trouble of manual operations. 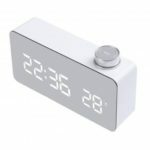 Xiaomi XiaoAi smart alarm clock support 30 dynamic alarm clocks, with lazy alarm clock, and countdown function. The smart alarm clock is also a convenient “Notepad” with 80 voice reminders. After setting the reminder, it will urge you to complete something on time. Even if you are not home, you can remotely control the alarm clock and customize the reminder content through the Mijia APP. 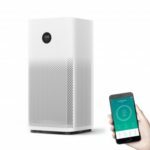 The alarm clock can control the Mijia smart home appliances including the air purifiers, sweeping robots, air conditioners via voice commands. 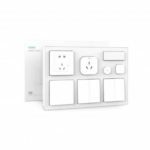 Connecting Bluetooth devices with other smart devices, through the intelligent function of the Mijia APP, the temperature and humidity sensor, air conditioner and humidifier can be regulated to suit the indoor environment. Stock exchange rates, translation, fast calculations, traffic conditions, weather, tail limit, movie entertainment, news, listening to the radio, looking for smartphones and other functions can be completed in one sentence. With 2000+ premium radio stations, you can listen to what you like including global information, road traffic, sports, finance, tech or crosstalk pieces, ancient poems and so on. 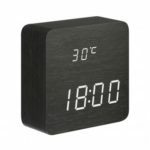 Featuring automatic light induction and time calibration, Xiaomi XiaoAi smart alarm clock adopts a square minimalistic design with a black background and a large display, which enables you to read data clearly during day and night.